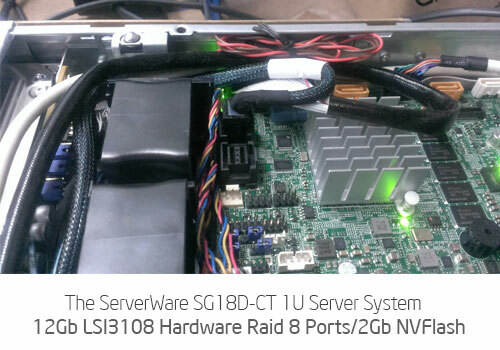 The ServerWare® SG18D-CT 1U Rackmount Server System. Everything in a Server. 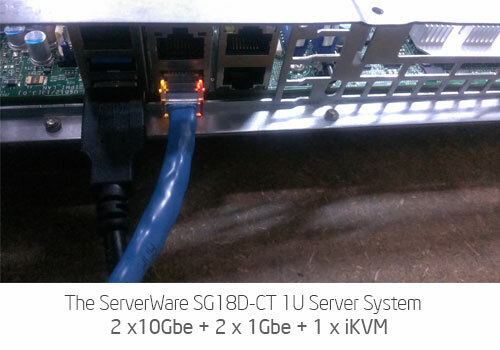 ServerWare® provides advanced hardware systems to cloud datacenters worldwide.Product lines include servers, storage, network switches, and integrated rack systems. 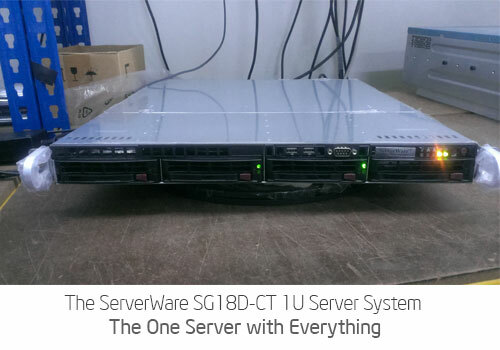 ServerWare® customers want the same innovative cloud hardware technology in use by hyperscale cloud datacenter operators, but in off-the-shelf SKUs with global services. 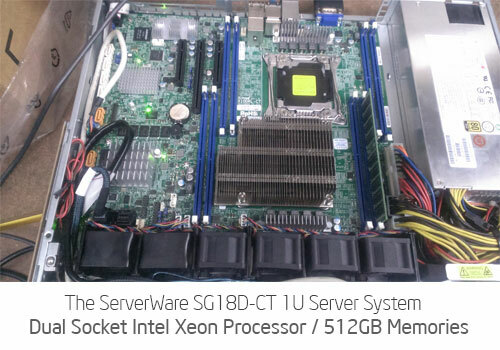 ServerWare® sells cloud hardware that delivers hyperscale performance, efficiency and advanced engineering, with flexible product configuration, rack integration, performance tuning and engineering consulting services to help customers deploy optimized cloud solutions for their unique cloud workloads.